Lagos, Kano and Abia states have been selected as pilots states for the Federal Government’s TraderMoni scheme. Laolu Akande, Senior Special Assistant to the President on Media and Publicity, Office of the Vice President, disclosed this while briefing State House correspondents on Monday in Abuja. Akande said that the initiative was part of the National Social Investments Programmes (NSIP) of President Muhammadu Buhari’s administration. According to him, the programme will be extended across the country. He said that the gesture was part of Federal Government’s efforts to further enlarge its financial inclusion agenda for all Nigerians regardless of social class and economic status. Akande said that the scheme, which was inaugurated in Lagos on August 7, would grant a minimum of 30,000 loans in each state of the federation and the Federal Capital Territory (FCT). “The presidency had announced a major policy under the NSIP to address the needs of petty traders who have not been captured in some the previous micro-credit schemes that we have. “We started a scheme last week where petty traders will get N10,000 and when they repay it within six months, they get N15, 000. “Between now and the end of the year, we would have reached at least two million of such petty traders across the country. The plan is to have a minimum of 30,000 beneficiaries in each of the states. “There are agents that will be going to major markets across the country, we are starting with Lagos, Kano and Abia where most of the already enumerated 500,000 have been identified. “Certainly, big states like Lagos and Kano will get more than that,’’ he said. He said that once the enumeration and verification were done in the market, the petty traders would get initial N10,000. Akande added that the loans like most of the social investment programmes, would go directly to the beneficiaries as there would be no third parties involved. The special assistant said that the gesture to petty traders was part of ongoing commitment of Buhari’s administration to the plight of the common man. 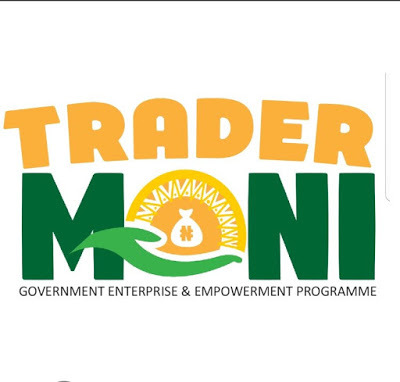 Earlier, Garba Shehu, the Senior Special Assistant to the President on Media and Publicity, said that TraderMoni policy was a worthy scheme that needed spot light.